Following this topic, I have installed algorithm package in order to use texworks. However, as you can see in the picture below, there is no sign of that. 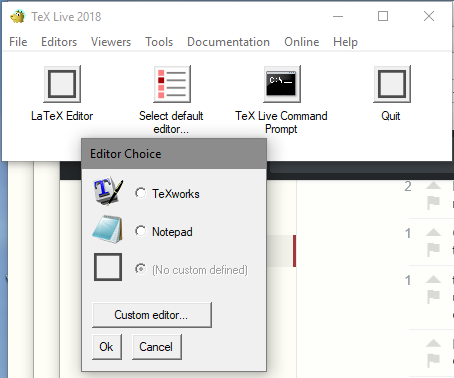 When you install TeX Live 2018 on Windows it should have installed a copy of TeXworks by default. This should have been made accessible via the installation script. However if for any reason you did not follow the usual route a shortcut may not be obvious. TeX Live includes in addition to the main tlmgr-gui.exe an additional GUI tlaunch.exe (which includes some related configuration) where you can set the default editor as in this image. AVOID Notepad it will not understand the TeX commands. 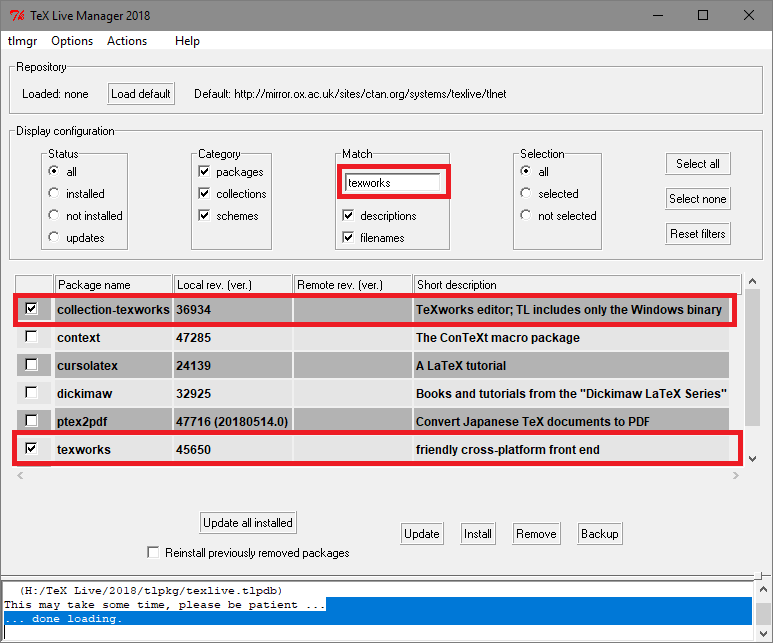 Depending on how a custom install was configured you may already have a copy of texworks.exe in the relevant binary folder. To check you can search for tlmgr-gui and check within that folder. If you can not find it then to install it using the manager see this screen.